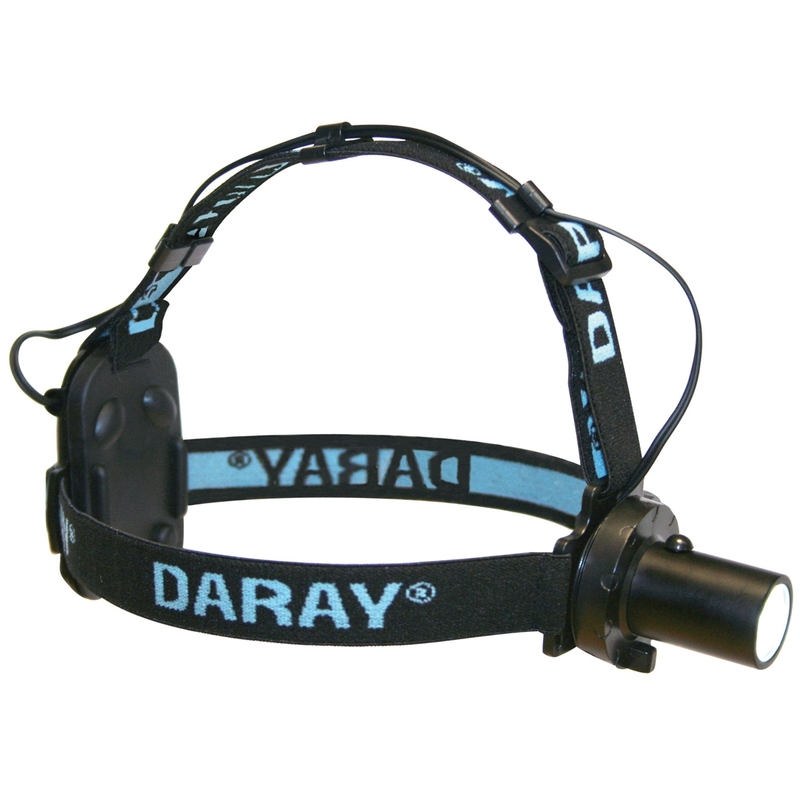 The Daray X100LED examination light is the perfect choice for value and performance. LED lighting has been developed to replace halogen completely. 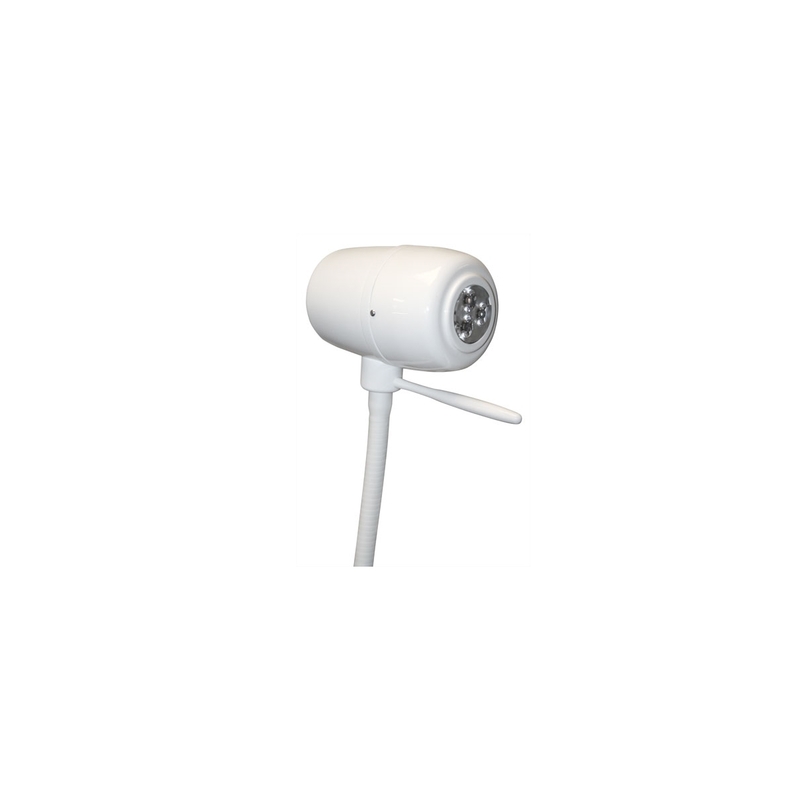 Daray have taken the technology and developed it further to provide high definition lighting solutions with no infrared, high brightness low environmental impact, low power consumption, no toxic chemicals and a long operating life. LED lights cost up to 75% less to run than the traditional halogen equivalents making the X100LED an extremely cost effective, highly efficient lighting solution. The GS300 is a perfect combination of intense light output and cool operation, all delivered in a compact design. An affordable price and rugged performance makes it an ideal choice for GP practice and small clinic examination. 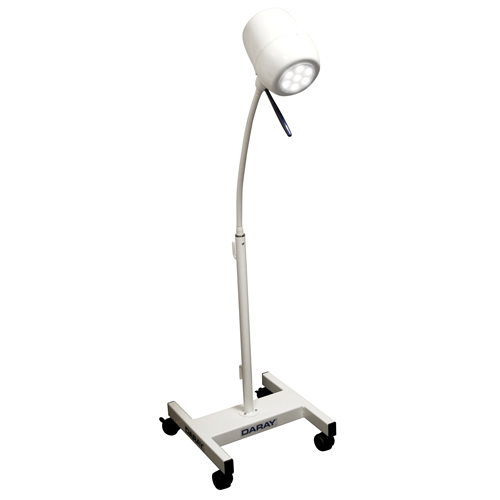 Cost-effective examination lights offering the versatility of a stable mobile base with a flexible head mounting. The X350 with its additional telescopic upstand is for more general applications. 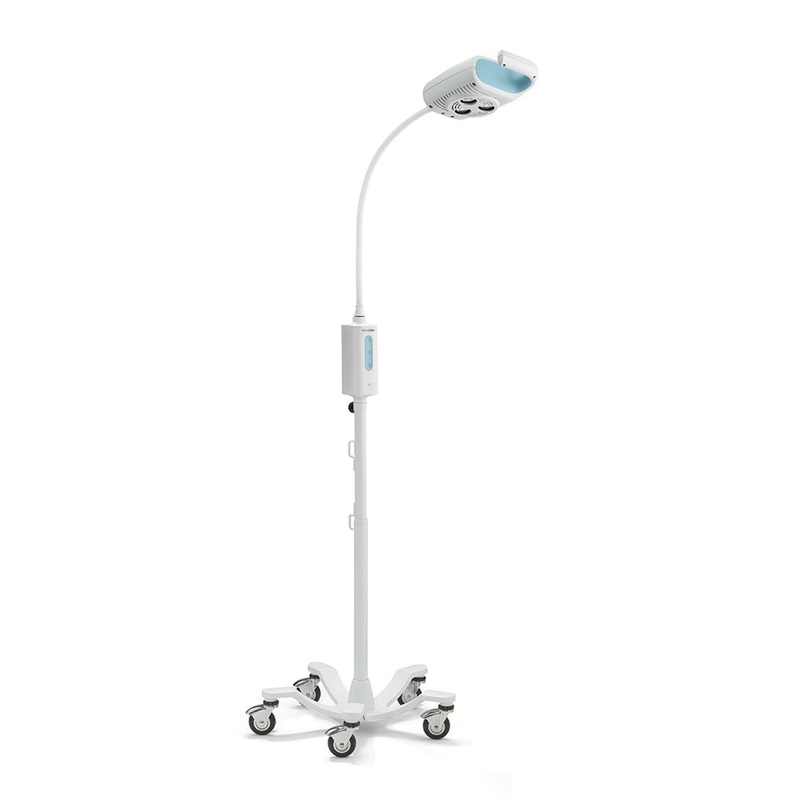 Maximum Flexibility Most examination lamps are much too rigid, completely the wrong size or simply just inappropriate for illumination in obstetrics and gynaecology. The X350 features a telescopic upstand to allow the light head to be raised as necessary for other procedures. With their remarkable range of movement and quality of light, these specialised products give you maximum flexibility. The GS Examination LED Light IV is perfect for specialties that require a very focused light in specific areas. 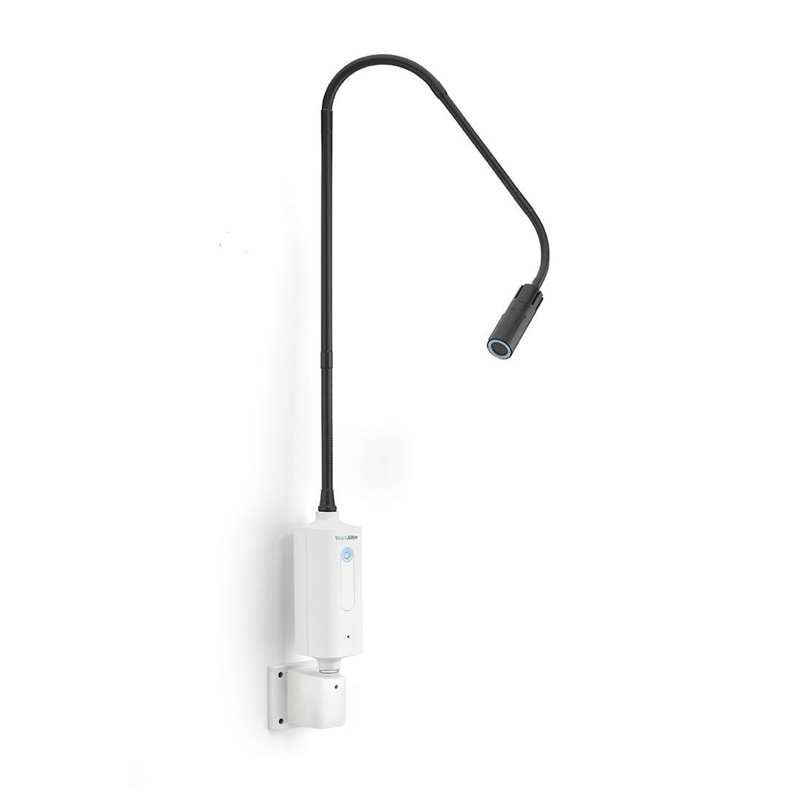 The GS Examination LED light IV provides you with 3x the typical l light output and features a highly flexible light pipe that is twice as long as conventional pipes. A compact, unobtrusive head ensures pinpoint accuracy and provides a true tissue colour rendition during an examination. • Affordable, lightweight entry-level model to the ReddyLite S5 headlight range. 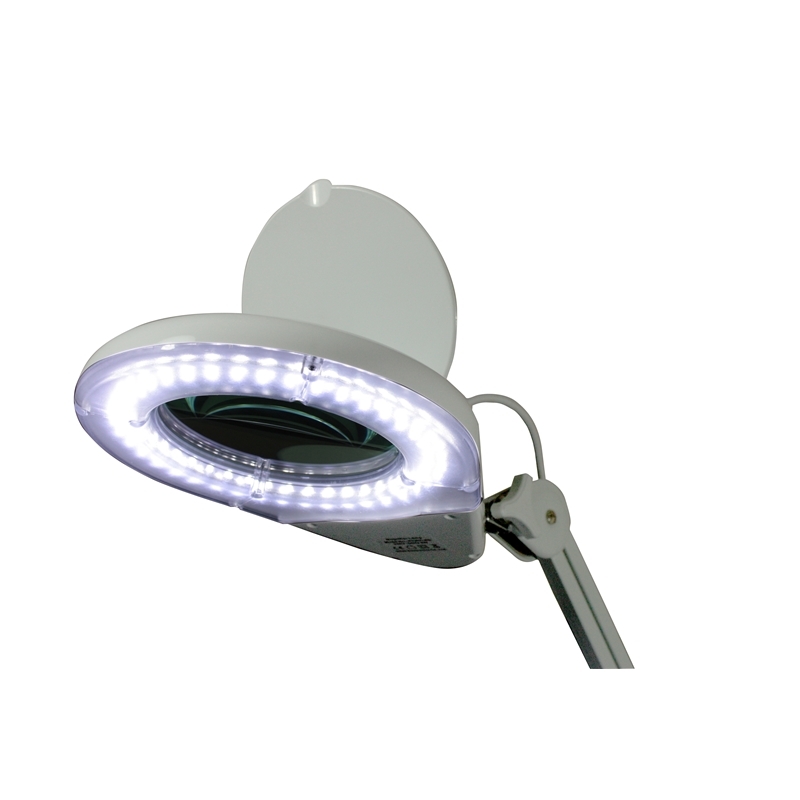 With white, bright LEDs, Welch Allyn Green Series lights provide you with superior light, helping you improve patient exams while reducing environmental impact. Green Series medical exam lights feature state-of-the-art LEDs that never require replacement, provide a whiter, brighter light than ever before, and use less energy than halogen. The GS600 Minor Procedure light features 3 intense LEDs with two brightness settings. The wider head is specially design for demanding viewing conditions. 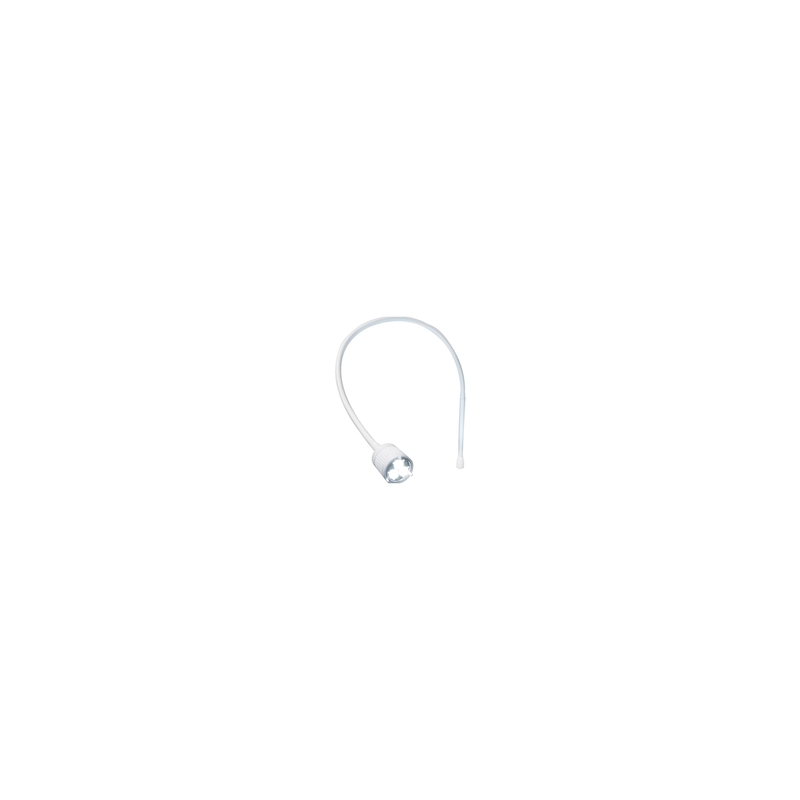 The brilliant colour and enhanced performance and accuracy means that it is ideal for minor procedures and examinations and a touchless On/Off button helps reduce the risk of infection transfer. 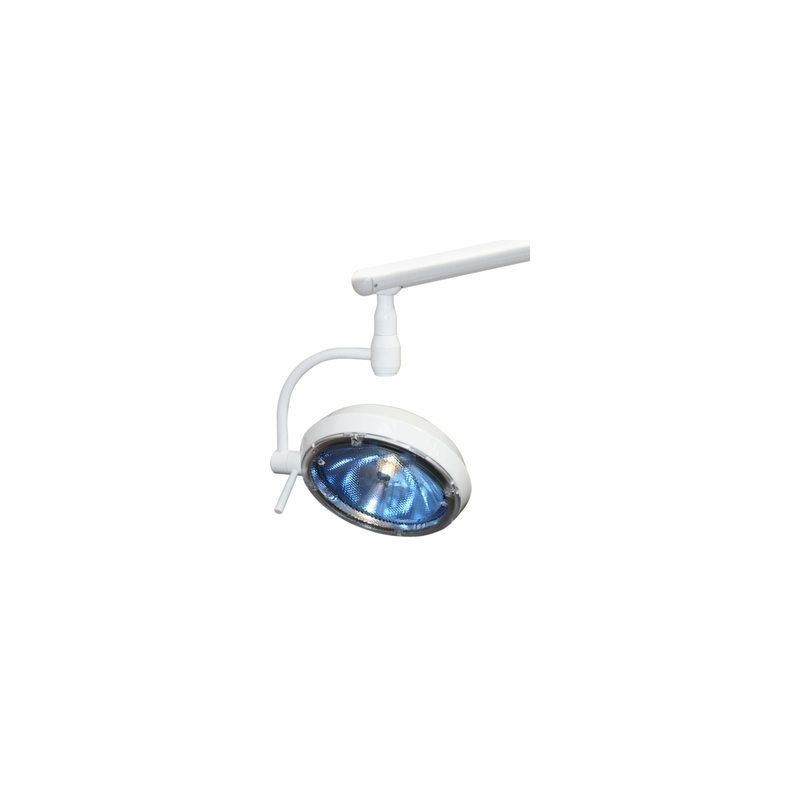 The Daray NviroLED™ SL180 minor surgical light features a strong beam of light that has an even intensity across the viewing area. Utilising LED technology the SL180 has around 50,000 hours from the LED light - that’s equivalent to 25 years of typical clinical use. The SL180 offers variable intensity, easy to use controls and BioProtect® anti-microbial solution on all painted finishes and is ideal for day surgery, gynaecology, A&E departments, GP treatment rooms, podiatry and dermatology. The SL200 is an invaluable tool for conducting procedures under local anaesthetic in health centres, GP surgeries and outpatient departments. The intense light has a perfectly shaped natural daylight coloured light-patch and excellent shadow reduction properties. 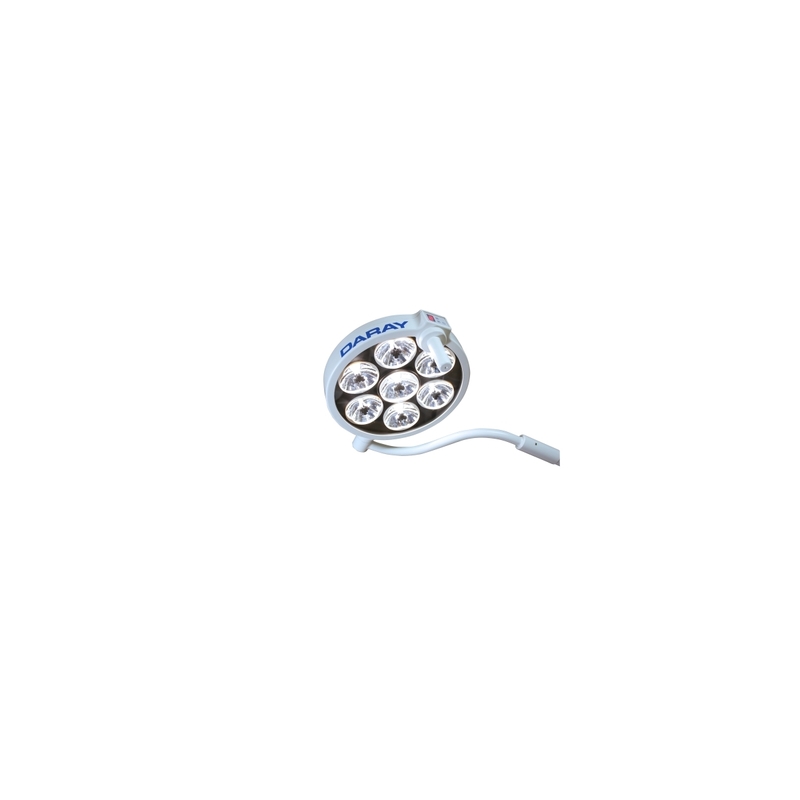 The Daray NviroLED™ X400 is a premium quality examination light for use in all general medical diagnosis and procedures. Utilising LED technology the X400 offers around 50,000 hours from the LED light - that’s equivalent to 25 years of typical clinical use. 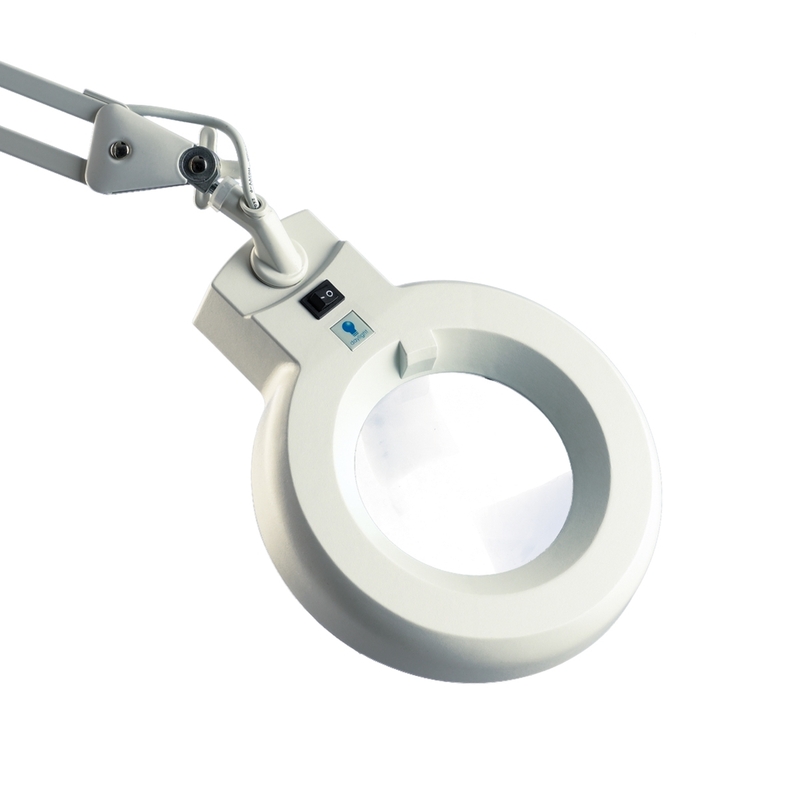 Diagnostic magnifying lamp suitable for clinical examination procedures. The energy saving tube ensures that you have plenty of comfortable daylight light to work with and the new head-joint guarantees you precise and smooth positioning of your lamp without constantly having to tighten a wing-nut. This procedure light, featuring six LEDs, combines outstanding durability, extraordinary manoeuvrability, unparalleled spot quality and multiple mounting options. The SL430 is ideal for minor surgery, maxillofacial, obstetrics, diagnostics and gynaecology and suitable for use within casualty departments and intensive care units. The Light is designed to provide consistent, accurate light where it’s needed, along with great shadow reduction and accurate colour rendering. • Balanced arms for one touch adjustment and a great range of movement. The Daray HL800 LED Head Light is designed for examination use and all types of surgical procedures including microsurgery. Extremely lightweight and easily adjusted, the HL800 can be used comfortably for long periods. The head light emits a near daylight coloured beam ensuring tissue tones are accurately rendered. 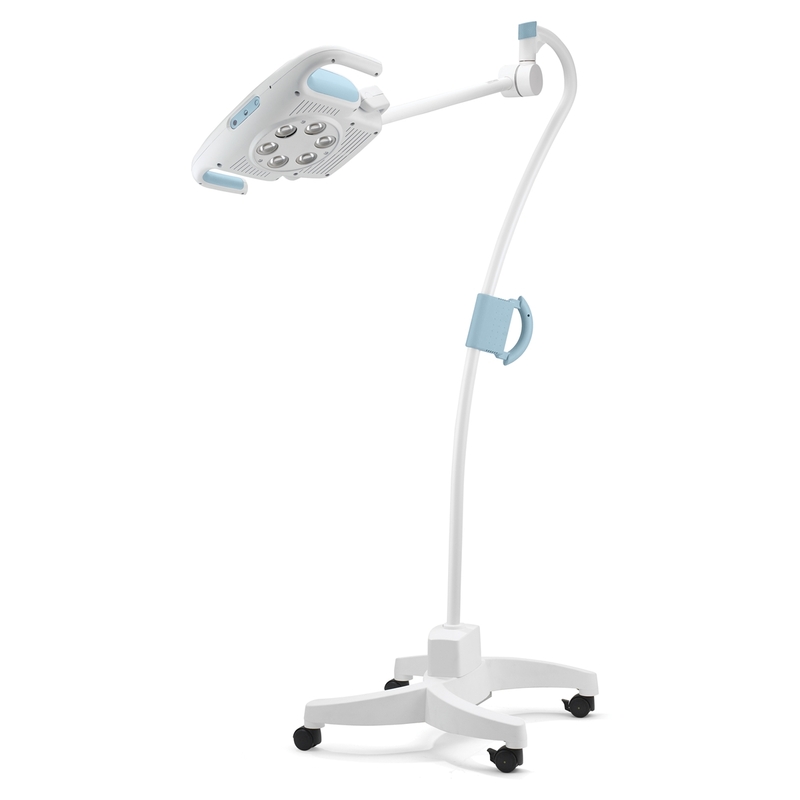 The Daray X200LED series examination lights are designed specifically for use during medical consultation and diagnosis. The versatile X200 has a wide choice of mounting options to suit every need. 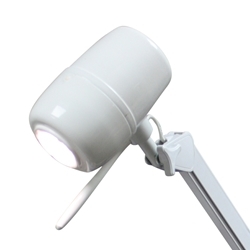 The high-quality flexible arm ensures precise positioning of the light-head; it stays where you put it! 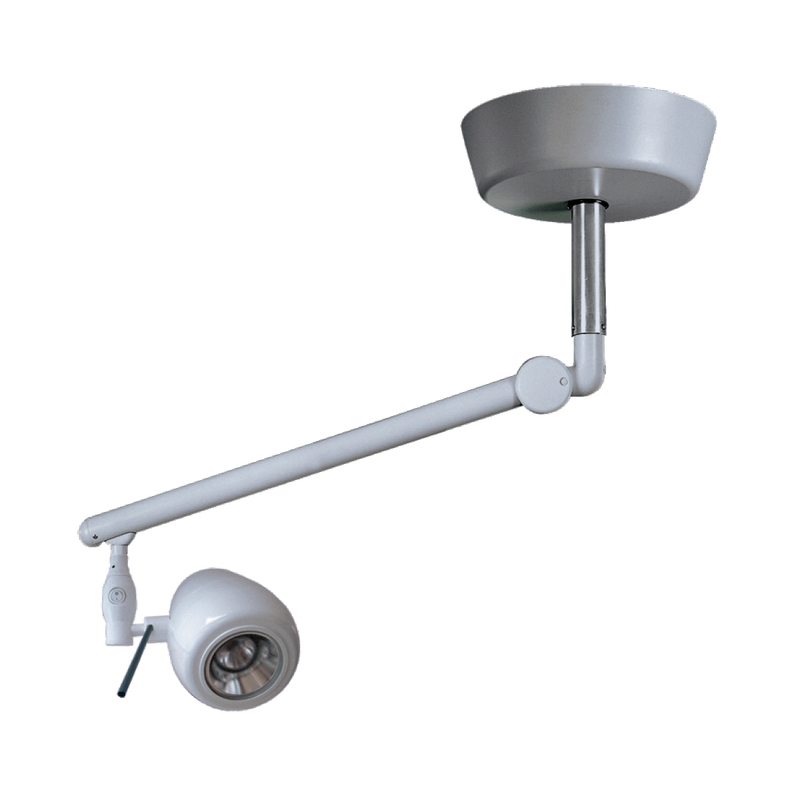 The arm swivels in its mounting and the head swivels on the arm, so the light-patch can be directed wherever you want it.